Norfolk, VA; Puerto Rico; and New York. 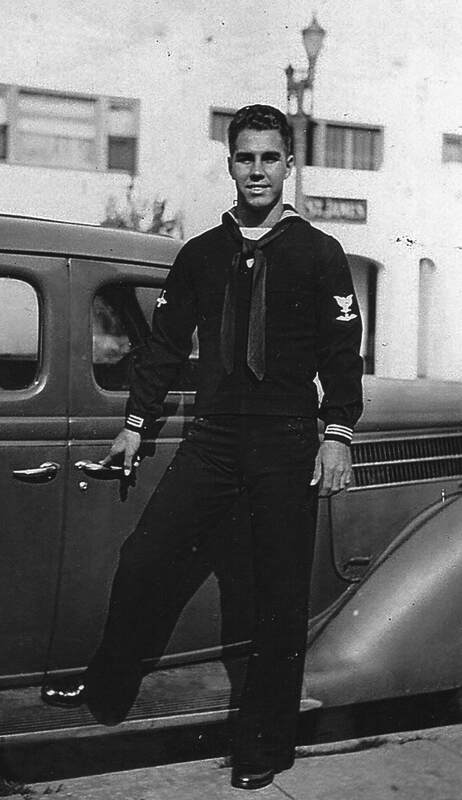 Charles first joined the Navy two days after he graduated from Wilson High School in 1944. He served in Norfolk, VA, for training. He then served in Puerto Rico. Charles lost his brother, Marvin, in the Battle of the Philippines. His ship, the USS Hoel, went down during the battle. His other brother, Ralph, was a career Navy man. His brother-in-law, Ed Ames, was in Pearl Harbor during the bombing and had to run tree to tree to get back to his ship. Charles has lived 65 years in Lakewood. In 1951 when he bought the home in Lakewood, the mortgage payment was $95 per month. Charles and Kathy have been married nearly 65 years. They raised eight children in Lakewood: Katie (1953), Erin (1955), Dan (1957), Kevin (1959), Shelly (1962), Shannon (1963), Shawn (1967) and Chad (1970). They all attended Lakewood area schools.